Dr. Lynne Stokes, a professor in the department of statistical science, and a team of Ph.D. students are currently working on a marine science project called, The Great Red Snapper Count. The two-year project is a $10 million effort by a multi-disciplinary team of 21 researchers that will provide a fisheries independent estimate of the abundance of red snapper in the Gulf of Mexico. The SMU team provides statistical support for the project, which will require integrating a variety of data collection and estimation strategies across the Gulf. 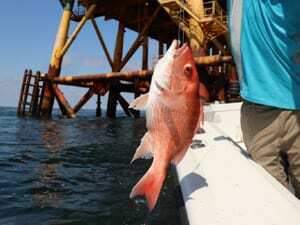 If you would like more information on the The Great Red Snapper Count project click here. If you would like more information on Lynne Stokes click here. By Katherine Nickles| 2018-08-21T07:46:47+00:00	August 21st, 2018|Dedman College of Humanities and Sciences, Dedman College Research, Events, Faculty News, Statistical Science|Comments Off on What is the problem with Red Snapper in the Gulf of Mexico?